The Assembly are a collective who are based in the Old Tidemill Primary School in Deptford, SE8. They are transforming the former playground into a community garden, wildlife haven and play space, and they have done a magnificent job of galvanising local young people. They run cook and eat sessions, they've built performance areas and a most excellent tree house on site! Last month they were one of three Lewisham sites given Pocket Park funding to improve their facilities. On Saturday 16 Nov ITV will be filming at the project as they have been shortlisted for a People's Millions award in collaboration with London Play. They need lots of people to go down to support them! There will be a live vote later in the month. It would be a great chance to visit their site and see what wonders they have wrought! . Building an educational hub for Deptford. Come and see our Wildlife Garden. 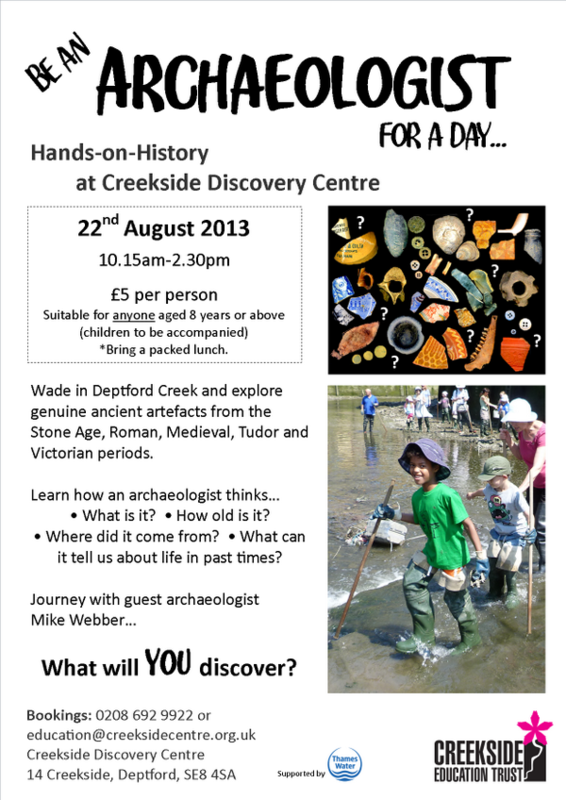 Deptford: Be an archaeologist for the day- Low tide walk in the Thames. Pepys Community Forum, through its environmental project, John Evelyn Community Garden. Seeks an enthusiastic and skilled person to undertake session hours of tree planting activities throughout LB Lewisham. You will be involved in identifying new planting locations and matching suitable trees. You will be required to both liaise and share your expertise with others. You will have background experience, and maybe formal qualifications, yet above all you should be a good communicator and like inspiring and working with people. Working hours and times are flexible, towards meeting our agreed target number of trees to be planted. Deptford: The Assembly Wildlife Garden needs volunteers! 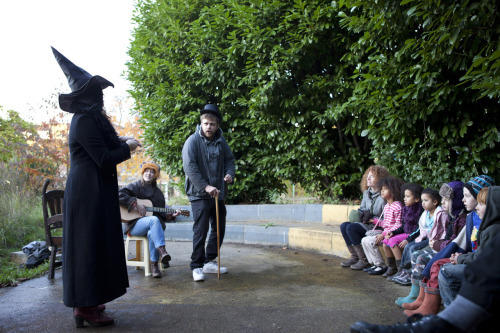 The Old Tidemill School is currently home to a collective named Assembly. The group incudes parents and children, many of whom used to attend the primary school. Their aim is to make use of the now overgrown playground and transform it into a thriving and magical space for all the community to explore and play. 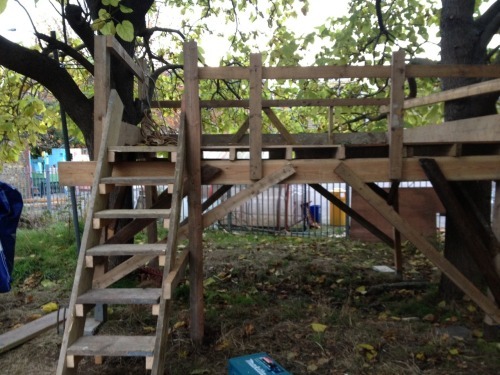 With the help of London Play, the Assembly Group have constructed a tree house and started a vegetable patch. They are now looking for eager volunteers who would like to help transform this unique green space in the middle of Deptford. Assembly are also keen to meet other creative projects that are out there and invite them into the space to collaborate on more exciting projects. Location: Old Tidemill School, Frankham Street, Deptford SE8 4RN. Just off Deptford Highstreet, opposite Wavelengths Leisure Centre and the Library. In the Old Tidemill Primary School. Two minutes walk from Deptford Overground Station and five minutes walk from New Cross Station. Sharpen your pencil ... and join us for a Sketching Workshop at the Evelyn Community Garden, Windlass Place, off Grove Street, Deptford SE8. Sunday 9th September 2012, 2.00pm to 4.00pm. All places must be booked in advance - Tel: 020 8694 3503. Fee £19 waged, £9 unwaged.